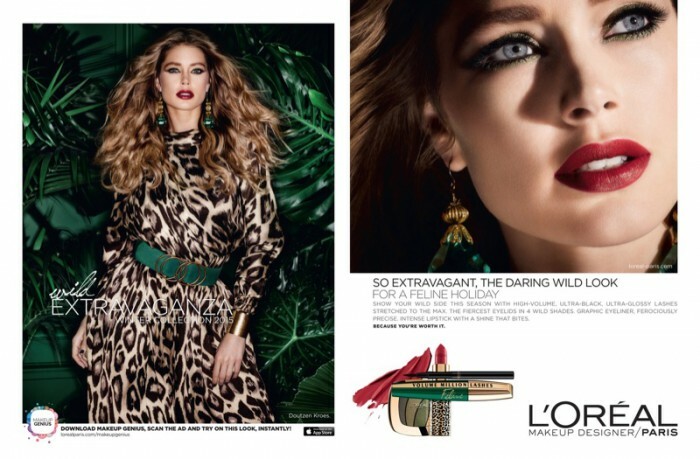 Doutzen Kroes shines in these winter 2015 advertisements from L’Oreal Paris. 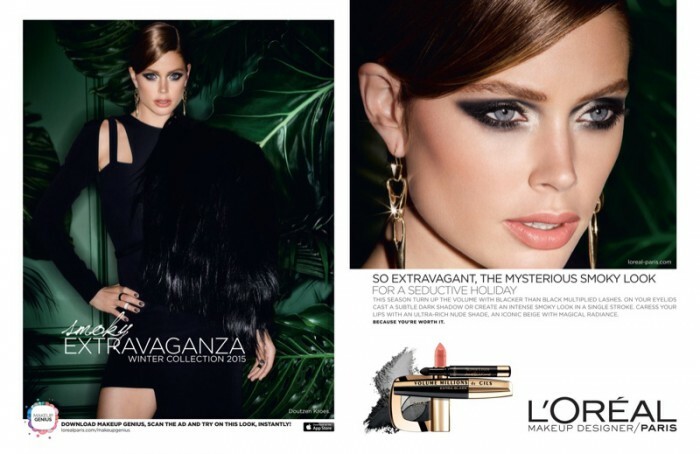 The Dutch beauty takes on four distinct beauty looks from the cosmetics brand—Golden Extravaganza, Fatale Extravaganza, Wild Extravaganza and Smoky Extravaganza–in the Kenneth Willardt lensed campaign. 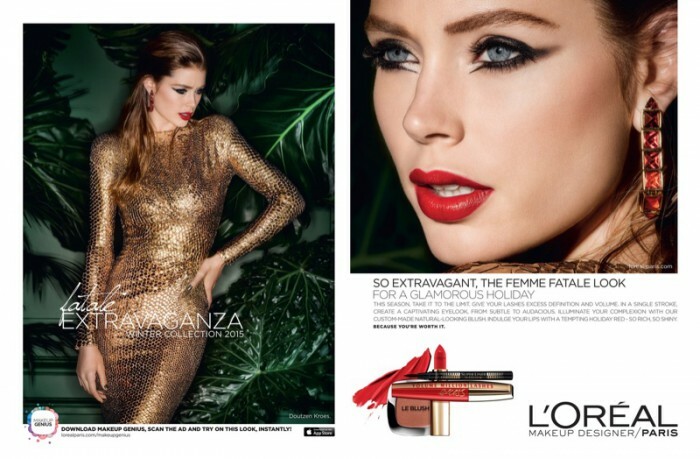 Doutzen provides some major holiday beauty inspiration with everything from shimmering eyeshadow to siren-red lips. 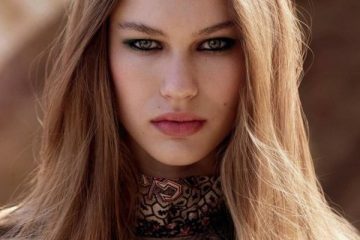 Her hairstyles are equally enchanting as she wears 1970s glam curls and a slicked back ponytail look. Michael Angel styled the shoot with makeup by Charlotte Willer and hair by Stephane Lancien.